OVERhang offers 2 one-week camps during School District 57's Spring Break in March 2019. 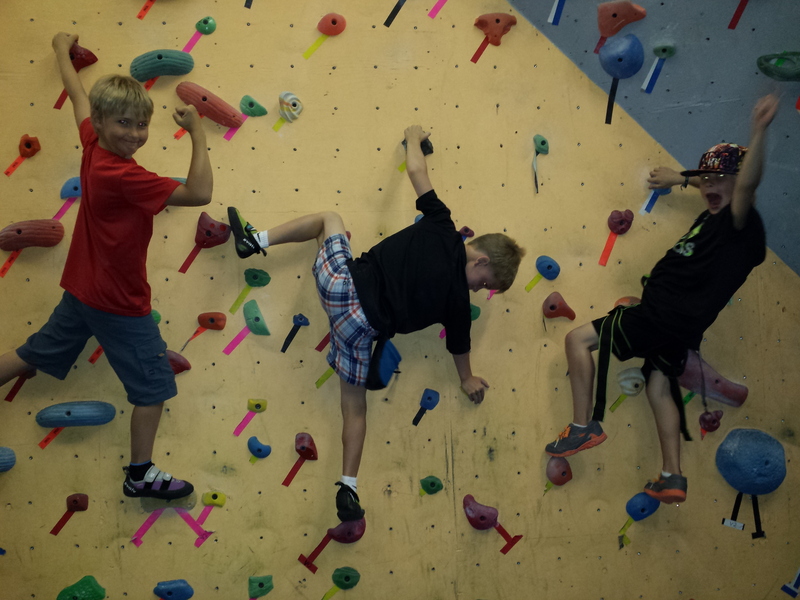 Climbing, slack-lining, playing, crafts, games, curling, more climbing... you name it! Kids go home tired and happy after a fun active day with super engaging OVERhang camp leaders. Early Drop-off (8:00am) or Late Pick-up (4:30pm) are available for an additional $10 plus GST/child for the day WHEN PRE-ARRANGED. IF CAMP DOES NOT HAVE AT LEAST 3 KIDS/DAY THAT WEEK MAY BE CANCELLED, REFUND WILL BE AVAILABLE OR YOU CAN SWITCH TO A DIFFERENT DAY. NO REGISTRATIONS TAKEN OR RESERVED WITHOUT FULL PAYMENT. No refund issued after camp begins. For a full refund, cancel at least 72 hours (3 full days) before the start of camp. Only 50% refund if canceled within 72 hours (less than 3 days) before the start of camp.